SCM was among the hundreds of companies and brands on display at the 2019 Magna Expo Mueblera. 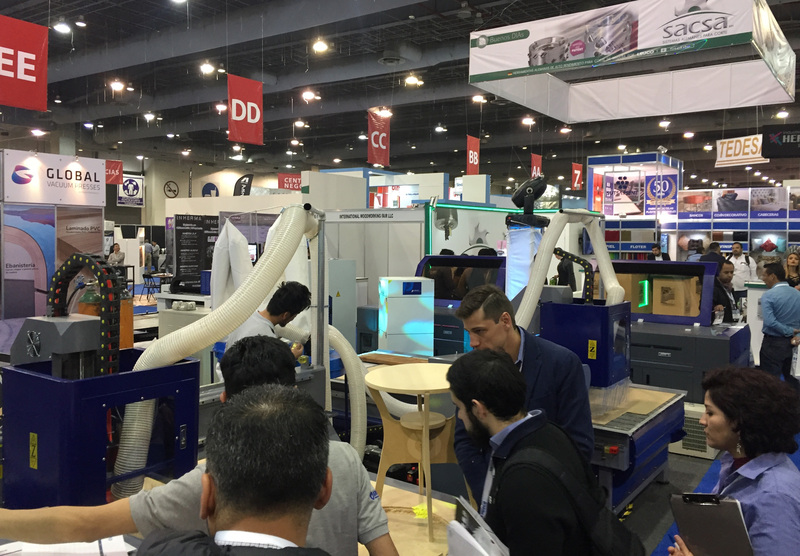 The industrial woodworking show took place Jan. 16-18 in Mexico City. Felder displayed technology for solid wood and panel processsing. The 2019 Magna Expo Mueblera was held Jan. 16-18 in Mexico City. 2019 marked a new era for Mexico's largest woodworking show, with the signing of a cooperative agreement between Hannover Fairs Mexico and AMPIMM (Asociación Mexicana de Proveedores de la Industria Maderera y Mueblera A.C.). Pictured at the show's opening are (left to right): Alejandro Tena, president of AMPIMM, Christian Pfeiffer, Global Director of LIGNA and Woodworking Events at Deutsche Messe, Bernd Rohde, managing director Hannover Fairs Mexico, and Eugenio Carrillo, project director MEM Industrial (at the podium). Showing a range of technology, Biesse was among the hundreds of companies and brands on display at the annual woodworking show. Magna Expo Mueblera was held Jan. 16-18 in Mexico City. Interest was high for finishing technology. In addition to surface and edge coating applications, Cefla also showed off an example of its digital printing. The company is represented in Mexico by Mademaq. Weinig's moulders drew lots of interest by attendees at Magna Expo Mueblera. Another popular exhibit was Sideco. Lots of interest in CNC machinery, including those offered by CNC Centromac. A first-time exhibitor, Daubert recently opened a sales and distribution center in Mexico. TigerStop showed off its optimization systems for cutting wood. An essential item in woodworking shops, compressors were on display by Kaeser. Asia Robotica demonstrated machines for cutting solid wood parts. Leitz displayed a range of cutting tools. Exhibits ranged the gamut, from cutting logs to decorative overlays. Wood-Mizer was among the companies offering demonstrations. Anest Iwata was among the companies featuring finishing equipment. The annual MEM featured technology and supplies for all woodworking operations. Pictured is the display by Plastico y Herrajes el Tio. Leufra showcased tooling by Leuco and CMT. Holz-Her's technology for edge processing and panel sizing was on display at MEM. A range of equipment drew attendees to the Silverline booth. Among the brands on display was Putsch. Apollo sprayers drew interest from attendees. Supplies on display included lumber and decorative overlays. Jowat was among the adhesive providers exhibiting at MEM. Portable tooling is always popular, as the Senco booth draws a crowd at MEM. The Germany and Taiwan pavilions drew interest at the show. MEXICO CITY - Wood industry professionals from across Latin America were in attendance at Magna Expo Mueblera to view new and popular technology, tools and supplies to improve their woodworking operations. Mexico's largest woodworking industry event, the MEM Industrial show took place Jan. 16-18 at the Centro Citibanamex convention center in Mexico City. The annual trade show included displays by hundreds of national and international companies and brands from Mexico, United States, Germany, Italy, Brazil, Spain, China, Taiwan and Columbia. This year's event was a joint effort by Hannover Fairs Mexico and AMPIMM (Asociación Mexicana de Proveedores de la Industria Maderera y Mueblera A.C.) following the signing of a long-term cooperation agreement between the two groups. Hannover Fairs Mexico is a wholly owned subsidiary of Deutsche Messe. The conference program offered lectures and training seminars on the latest trends, developments and innovations in the wood and furniture industries. International experts explained the pathway from CNC processing to fully integrated digital factories as well as the latest trends and technologies, Also discussed was the sustainable marketing of wood products, and how Industry 4.0 technologies can give Latin American manufacturers access to new market opportunities, and boost their national and global competitiveness. Many of the exhibitors also commented on the importance of the Mexican trade show to showcase their technology to the growing wood products industry. 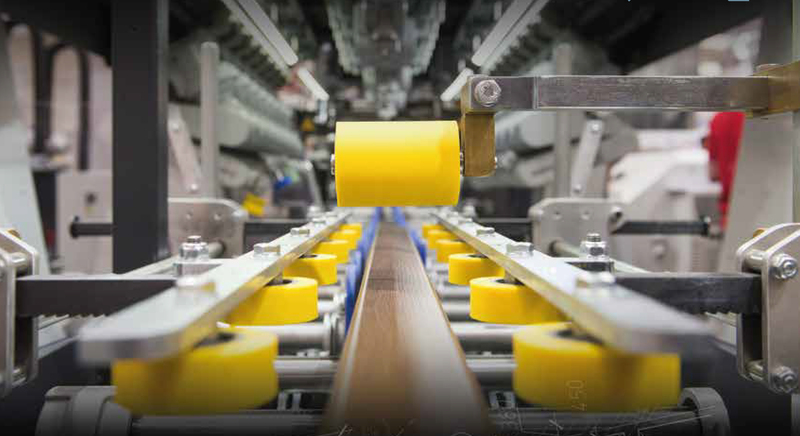 A long-time player in the market, Felder's booth at MEM drew crowds throughout the day, with its display of machinery for panel and solid wood processing. "It's been a good show," noted Klaus Schweizer, CEO of Felder Group-Mexico. It was also busy at the SCM Group Mexico booth, said Marco Pedronici, general manager, with interest high on the panel processing technology, including the robotic HBD 1300 OF CNC drill, glue and dowel inserter. 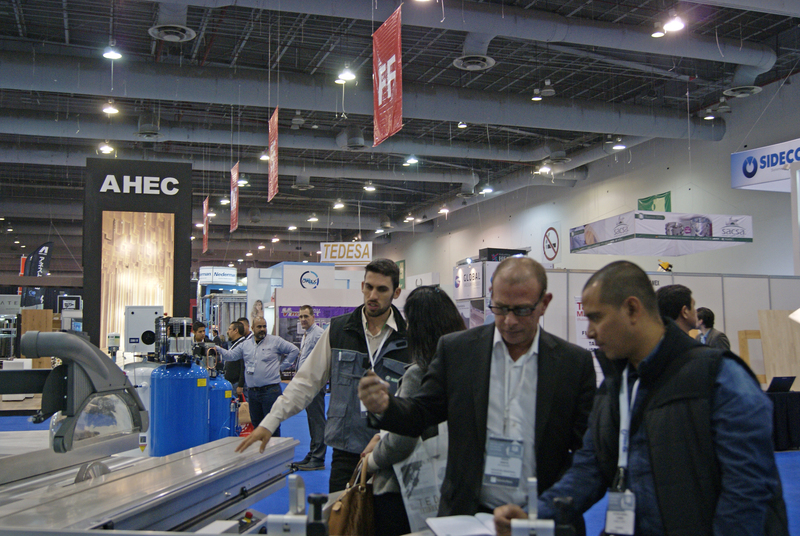 "It's important to have a show like this," he added, not only to expose people to the full complement of solutions provided by SCM, but also for the opportunity to promote the company's sales and service capabilities. Daniele Cisterni, product manager for Biesse, also commented on the quality of attendance and increased interest in medium and high technology, including CNC machining centers, at MEM 2019. "It's definitely a growing market for us," he said. Machines for solid wood also continue to be in high demand, noted Michael Herrmann, regional sales manager for Weinig. "It's very important to have a show like this." Mademaq's Alejandro Cuervo agreed. Representing Cefla finishing equipment in Mexico, Alejandro Cuervo noted increased interest in flat panel finishing, particularly in regard to developments in high gloss and matte applications, with many in attendance looking update their existing technology or increase their capacity. The display for digital printing — and the possibilities available with this technology — also drew a lot of notice. added Cefla's Fabio Caroli. Other exhibitors with U.S. locations included Mereen-Johnson, TigerStop and Daubert, a first-time exhibitor which recently opened a sales and distribution center in Mexico. Germany’s national pavilion, aptly themed “Made in Germany,” also included exhibits by Awuko, Kaeser, the German Forestry Council (KFW), imos AG, Schmalz, Serra, Tigra and Venjakob. Also featuring high-tech machines and applications, China’s national pavilion included companies such as Tiantai Tianmeida Machinery and Linyl Lvran Decorative Material. In addition to AMPIMM, the 25th MEM Industrial trade show was supported by the European Federation of Woodworking Machinery Manufacturers (Eumabois) and the German Woodworking Machinery Manufacturers’ Association within the German Engineering Federation (VDMA). The show was organized by Hannover Fairs Mexico. The next MEM Industrial will take place Jan. 22-24, 2020, at the Centro Citibanamex convention center in Mexico City. For information visit MEMIndustrial.mx.